Digital transformation is one of the hottest business topics today, but it’s something that can easily create more questions than answers – both for companies already in transformation mode as well as those contemplating the transition. Where do you start? Why consider a change when your business is working well? These are the kinds of questions that cause leaders to pause — and can potentially keep them from pursuing digital transformation. But it’s critical for growth because digital transformation can create new opportunities and open new markets to businesses through sales, service, and marketing. Salesforce has put the customer at the center of everything we do for more than 19 years, and Success Cloud ensures that every customer with Salesforce technology can access the support and guidance they need to do it themselves, learn how to do it, or even have us do it for them. 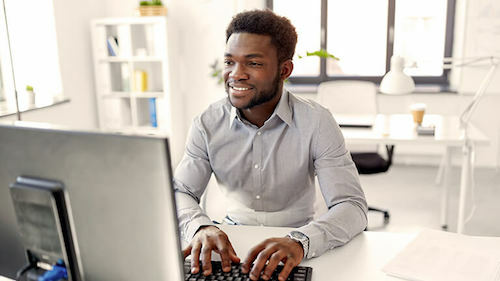 Whether they’re using Salesforce to solve a specific business problem or create an entirely new business structure, we can help them realize their goals and will stay with them every step of the way. By working closely with our customers to make their adoption of Salesforce successful, we have learned what it takes to succeed, and what approaches may fail. We know the changes that lead to customer loyalty and which are more likely to cause a company to lose that crucial customer alignment. 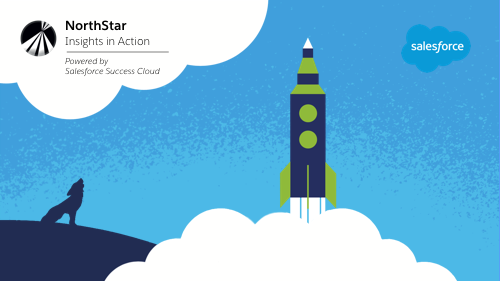 To further help our customers succeed, Success Cloud has created the “North Star Report,” a roadmap — guiding light, so to speak — for anyone looking to drive real and lasting change in their organization. This is a navigational tool for IT leaders and other executives seeking information on how to approach digital transformation, including how to properly ensure that the customer experience is positively transformed as well as company operations. The North Star report features information derived from the best possible data pool: our customers. To get the best overview of the industry today, we surveyed nearly 500 Salesforce customers at businesses in every industry, around the world. 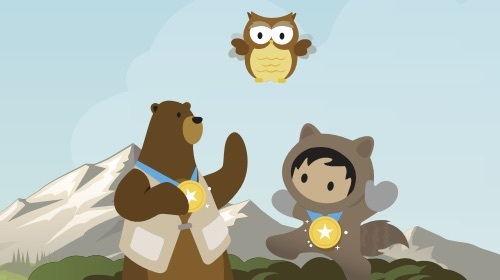 The North Star report reveals what the front line of digital transformation looks like, and offers unique insights and advice for leaders to better understand how to create their own roadmaps for success with Salesforce. And the statistics are telling: while almost 75% of executive decision-makers surveyed consider digital transformation to be a priority at their organization, this research pinpoints the areas that are most important to a project’s success, including risk levels. We found, for example, that 43% of executive decision-makers think their leadership needs to accept short-term risks in order to build maximum business performance over the longer term. As part of this information-gathering process, we interviewed a select panel of executive Trailblazers from around the world, all of whom work with Salesforce to pioneer digital transformation. Brands like Telstra, Humana, SNCF, and Crocs, among others, provided insight and context to their successful digital transformation processes, bringing an invaluable extra dimension to this report. In addition, the report features contributions from Brian Solis, the renowned futurist and digital transformation consultant. Brian has decades of experience studying the impact of technology on businesses, and his thoughts on the relationship between digital change and people are likely to be incredibly helpful for anyone starting their own transformation journey. After speaking to our customers, our Trailblazers, and Brian Solis, we created the report around three distinct chapters: Dreams, Disruption, and Delivery. The report then serves as a roadmap to anyone seeking to begin their own transformation. Dreams focus on turning ambitions into focused plans, including pointers on how to work with IT and other stakeholders to build a plan that’s manageable and future-driven. Disruption looks at potential stumbling blocks for a transformation project and the importance of internal engagement to breaking through those obstacles. And finally, Delivery focuses on implementation and adoption across a company. With the North Star report, you will have access to the valuable information you need to realize your own digital transformation vision and goals. To download the report, simply click here to fill out a short form and the report is yours, free of charge. I hope you take these insights and use them to help you blaze your trail to success with Salesforce.